The Governorate of Hebron is located in the southern part of the West Bank. It is the largest Governorate in the West Bank in terms of size and population. Its area before the 1948 Nakba (disaster) was 2076 km2 while its current area is about 1060 km2. This means that Hebron has lost 51 % of its original size due to the events of Nakba. The population of the Governorate is now half million according to the estimates of the Palestinian Central Bureau of Statistics. The population density of the Governorate is 500 individuals per km2. The Segregation Wall in Hebron governorate has the total length of 125.5 Km (excluding parts of the eastern Wall route). The existing Wall route starts in Gush Etzion settlement block and ends in Hazalin Bedouin area in the eastern slopes of Hebron district. About 109 km of the Wall have been semi finished, while the rest (16 km from Gush Etzion until the village of Al Jaba'a) is still planned. 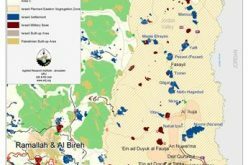 The total land area devastated under the path of the Wall is estimated at 12.5 km2 (1.1% of the total area of Hebron district), while the total land area separated behind the Wall is estimated at 41.4 km2 (3.9% of the total area of Hebron district). 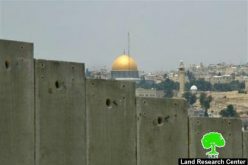 The over all area of land devastated or separated behind the Wall is 53.9 km2 (5% of the total area of Hebron district). The latest revised Wall plan was announced by the Israeli army on April 30th, 2006, according to which the village of Jaba' in the most north western corner of Hebron district became inside the Wall with its 1000 population. 1. 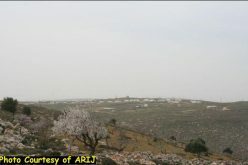 One of the main goals of the Segregation Wall in the Governorate of Hebron is to annex and link the largest number of settlements through the establishment of isolated 'geographical pockets or fingers', especially in the west of the Governorate to include the settlements of Telem, Adora, Negohot and Eshkelot and also to ensure the linkage between the settlement of Otniel (west of Yatta Town) and settlements located to the south of the Governorate. Furthermore, the path of the Segregation Wall guarantees the establishment of a geographical pocket which links the settlements located south of Hebron Governorate and the settlements of Kiryat Arba, Kharsina and the four settlement spots inside the old city of Hebron, as well as including the settlement of Pene Hever (Ma'ale Hever) located east of Birin village. 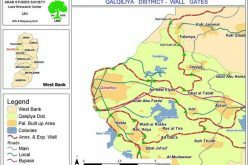 On the whole, about 30 settlements and outposts, mostly in the west and south of the governorate, are expected to be inside the fence once it is completed. 2. Besieging and isolating the Governorate of Hebron form other West Bank Governorates. 3. Cutting off the center from periphery, that is, separating between Palestinian country side and the main urban centers where social and public services are located. 4. Restricting the possibilities for future natural expansion and development. 5. The forceful and active eviction and transfer of Palestinians living in the Wall's vicinity as well as confiscating their lands and sources of income, leading to an increased unemployment and major damage to the Palestinian national economy, especially that it depends largely on agriculture and livestock. 6. The Wall is designed to ensure Israeli control over Palestinian natural resources, such as water, gas, natural stones and queries, etc. In this regard, a number of wells and springs will be separated behind the Wall. 7. Depriving Palestinian manpower from reaching their workplaces inside Israel, and hence, increasing the levels of unemployment and poverty within Palestinian society. 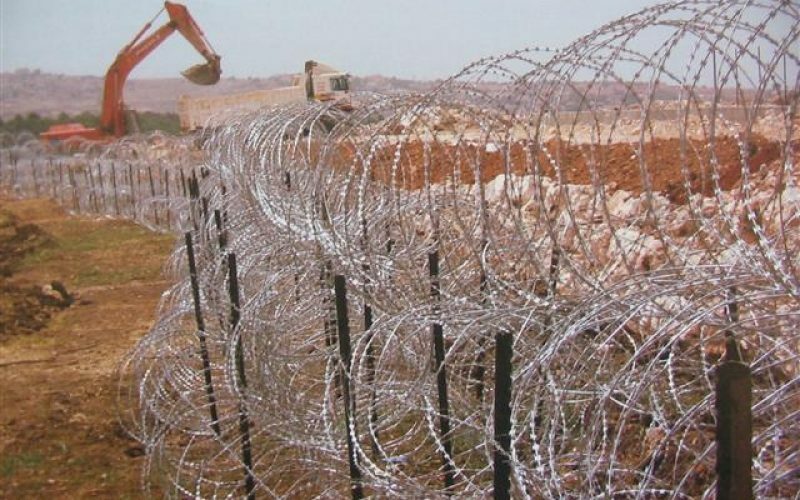 In October, 2003, the Israeli army published plans for the route of the Segregation Wall which kept the belt of Israeli settlements in south Hebron on the southern side of the fence, served by roads 60 and 317, safely connecting them to Israel. The Wall would have trapped Palestinian communities living between it and the Green Line in an area of around 170,000 dunum, nearly 16 % of the land of the Governorate and the largest 'Seam Zone' of the West Bank. 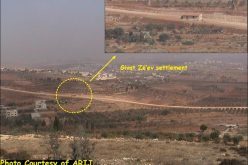 In December, 2005, the Israeli occupation army (IOA) released three military orders to requisite a corridor of land alongside roads 317, 60 and 325 and which run from the settlements of Karmel to that of Tene in south Hebron. The new security measure would involve the construction of a continuous barrier of concrete running along the northern side of the bypass roads (317, 60 and 325). Built within three to four meters of the edge of the road, the barrier will be 80cm to 1m high to prevent vehicles from crossing onto the main road. The route of the 'Road Barrier' roughly follows the same direction of the 2003 plan for the Wall but it also represents the last in the long list of closures cumulatively applied to roads 317, 60 and 325 to prevent access of Palestinians. The new security measure will entrench further the disconnection already evident on the ground, possibly leading to complete isolation and the likelihood of displacement and loss of land. These restrictions have been put in place to benefit and secure the movement of Israeli settlers residing in the Governorate, allowing them to move safely between settlements and further on to Israel. Roads 317 and 60 break up the transportation contiguity between Palestinian controlled areas ('Area A', under Oslo II agreement), force Palestinians onto internal secondary roads, and fragment the territorial contiguity of the Governorate. The result is particularly dramatic in south Hebron where communities do not have the option of moving on internal secondary roads and have to cross bypass roads to access services and markets. According to LRC estimates, the new 'Road Barrier' will directly affect access to nearly 80,000 dunums (7.5 % of the total area of the Governorate) mostly of agricultural and grazing land: 22 communities including Ar Ramadmin and Arab Al Fureijat in the most south western corner of the West Bank, and over 8000 Palestinians will be enclosed between the road barrier and the Wall being constructed along the Green Line. The numbers grow during the spring and summer, when seasonal migration increases population figures by one third. Al ‘Auja village between the Jaws of the Israeli Occupation !